Sure, Pinterest started out as the place where (mostly) women pinned DIY projects, inventive recipes and home decor ideas. To a large degree, it still is. 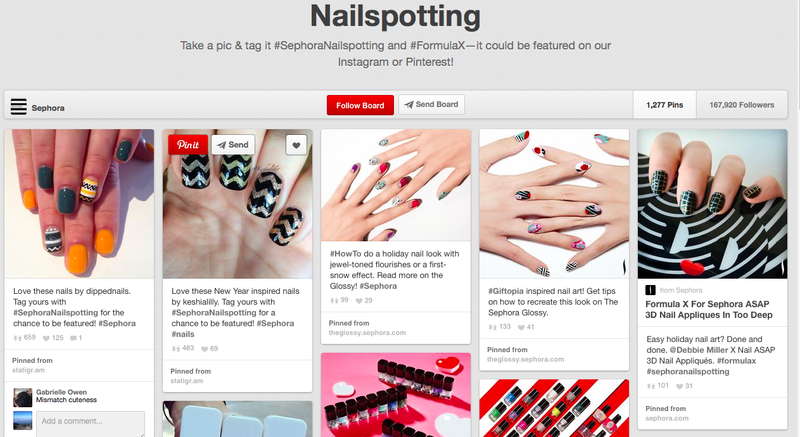 But that's changing as more big name brands are harnessing the power of pinning. If the site's vivid, attractive images haven't lured you down the rabbit hole toward the dream of a more marvelous life, here's the gist. Users, called "pinners," create and manage pinboards around certain themes, browse other users’ boards and repin or like images they fancy. When you share an image, it’s called a pin. When you share someone else’s pin, it’s called a repin. You can pin images you find online or upload them from your computer. After installing the Pinit button, you can share images from any website directly from your browser. You can also share pins on Facebook and Twitter. When you follow another pinner's board, you'll see her (or his) latest pins on your homepage. Kind of like the Facebook newsfeed. So, why is Pinterest relevant to you or your business? It's growing. The company was recently valued at $3.8 billion and had 50 million unique visitors in September 2013. It drives more revenue than Twitter or Facebook. It is transforming into a visual search engine. As more people use the site, it's becoming a place people go to find more specific results. Do a Google or Bing search for garage organization; you will get a list of products and stores where you can find them. 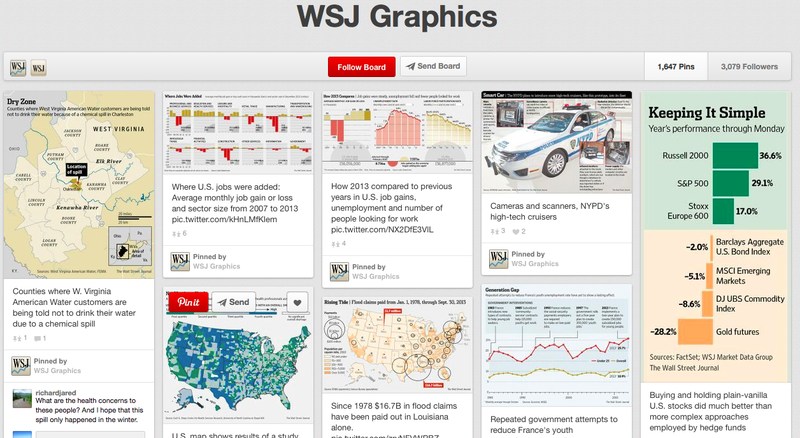 A Pinterest search displays an inspiring, visual catalog of resources and ideas. It's a top of funnel marketing source. It can introduce new customers to your website, if they click on an image you post. Not only that, your customers and clients can share your pins, directing their followers to your website or Pinterest page. Check out these 10 innovative uses of Pinterest. OK, you say, but my company sells insurance or blenders, or I do people's taxes. The ways to use Pinterest are more obvious, if you're an interior decorator or work for a company that sells apparel. 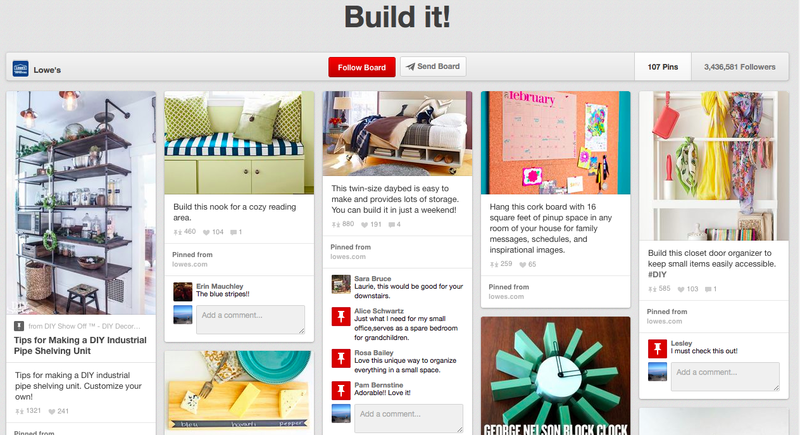 But, when you think creatively, Pinterest can be an effective marketing tool for any brand. Bonus: it's fun to use. 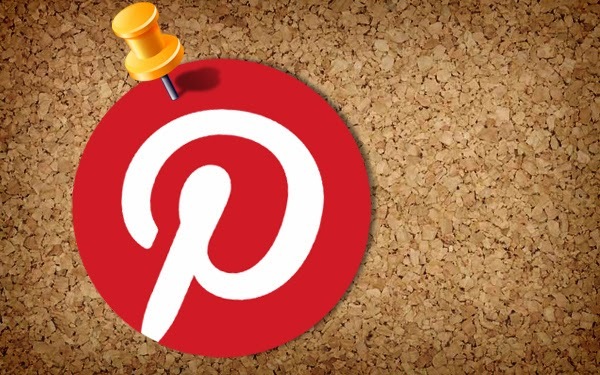 Check out these boards from companies that have found interesting ways to develop or adapt content to be successful on Pinterest. Lowe's pins DIY projects from bloggers that can be made from products found at Lowe’s. Why is works: This is an example or a company using Pinterest to drive traffic to its site and sell products. The board contains helpful content, much of it user-generated, which makes it more sharable. But it also piques customers' interest and gives them a reason to come into the store. 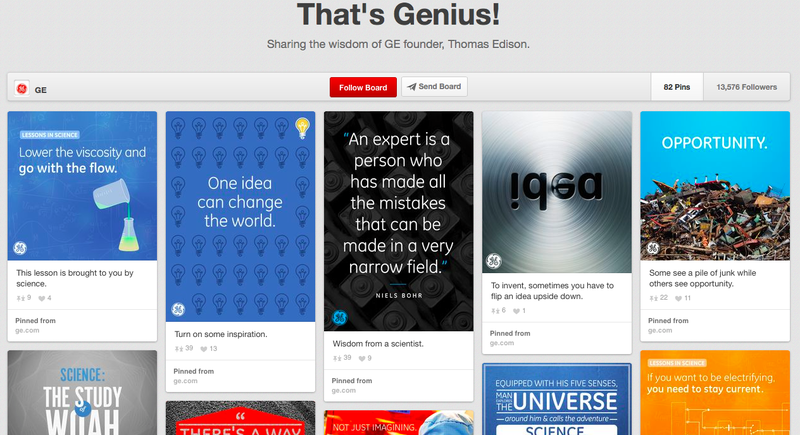 GE pins inspirational quotes from GE founder Thomas Edison. Why it works: The pins are uplifting and visually appealing. This board proves that even a B2B company can recast itself for this medium. A Pinterest board doesn't have to be all about products. It can be about showcasing your brand and building awareness. Sephora pins helpful tutorials from its community. Why it works: The pins are helpful, attractive and, in many cases, from the Sephora community. Sephora understands its customers and has designed a board around their passions, making them more likely to contribute and repin. 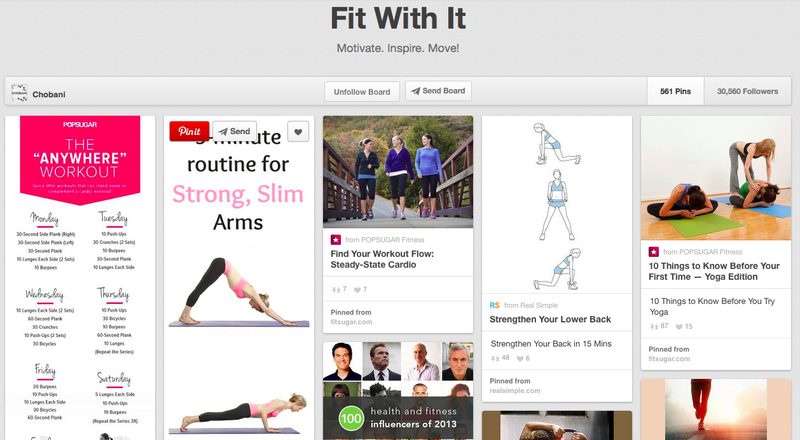 Chobani pins workouts, fitness tips and health information from across the web. Why it works: It provides valuable information targeted toward the interests of Chobani's community. It's an excellent example of how a Pinterest board can be themed around a concept other than your product or service. MCNG pins infographics about social media. Why it works: The pins are illustrative and helpful. 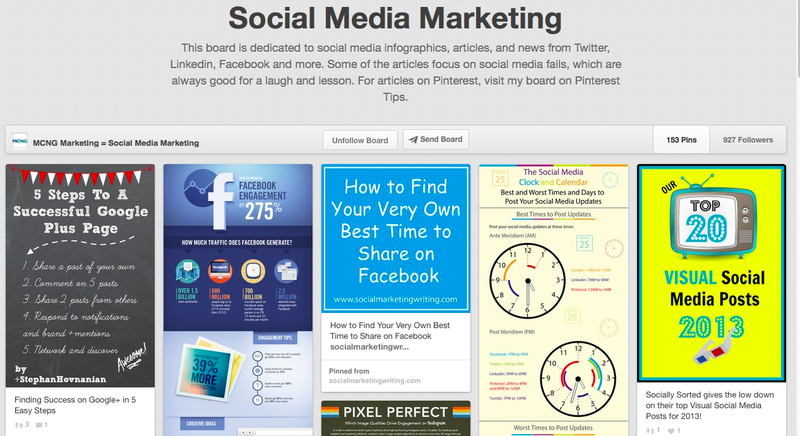 MCNG demonstrates that even a company selling a service, instead of a product, can create dynamic Pinterest boards. If you haven't thought of at least one cool way your company can use Pinterest, let me know, and I will help you brainstorm.